The counter-terrorism environment worldwide has changed sharply in recent years. A significant catalyst for a review of Australia’s counter-terrorism arrangements was the 11 September 2001 terrorist attack on the United States of America. In Australia, this subsequently led to the introduction of new national counter-terrorism structures and arrangements. Western Australia is a partner in the national approach to counter-terrorism and provides membership to the Australia-New Zealand Counter-Terrorism Committee. Counter-terrorism work in Western Australia not only complements national policies and plans but is also done in an environment that values strong cooperative, coordinated and consultative relationships with the Australian, State and Territory governments, departments, the community and industry, with the overriding aim of making our region safer. Counter-terrorism strategies are underpinned by the all hazards approach to emergency management and recognise that the further strengthening of existing partnerships, capabilities, processes and structures improves the security preparedness of the State. The term terrorist act has the meaning given to that term in section 100.1 in the Schedule to the Criminal Code Act 1995 of the Commonwealth. Terrorism offences are contained in Division 101 of the Criminal Code Act 1995. The Emergency Management Act 2005, available on the WA Legislation website, and its regulations and policies allocate responsibility for managing various emergencies to specific organisations known as Hazard Management Agencies (HMA). The Western Australia Police Force is the designated HMA for terrorist acts within the State of Western Australia. 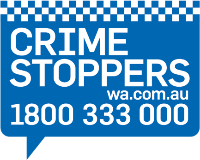 To report any suspicious activity or security concerns contact the WA Police Force on 131 444, the National Security Hotline on 1800 123 400 or email hotline@nationalsecurity.gov.au. In December 2002, the Council of Australian Governments (COAG) agreed to a national review of the regulation, reporting and security surrounding the storage, sale and handling of hazardous materials. The work was divided into four parts: ammonium nitrate; radiological sources; harmful biological materials; and hazardous chemicals (chemicals of security concern). Australian Radiation Protection and Nuclear Safety Agency. Ammonium nitrate is commonly used as a fertiliser in agriculture and as the main component in an explosive often used in the mining industry in Western Australia. Across the world, terrorists and criminals have demonstrated an interest in using a range of chemicals to produce explosive or toxic devices to inflict harm. Access to important national security information and services. Radiological materials have the potential to be used as weapons by terrorists and criminals. The deliberate release of harmful biological agents such as viruses, bacteria, fungi and toxins has the potential to cause significant damage to human health, the environment and the Australian economy. Australia’s current National Terrorism Threat Level sits at PROBABLE which indicates individuals or groups have developed both an intent and capability to conduct a terrorist attack in Australia.